It has been ages since my last post. The main reason I haven't posted is because I have been feeling uninspired. Rather than write some bullsh*t post about nothing (remember Carrie and the perfect french fry? ), I thought it was better just to take a short sabbatical. I would love to be one of those bloggers that can post five times a week. But that just isn't realistic for me. So I am going to take the pressure off myself and post when I have inspiration. No schedule. No agenda. Just when I want to. Sounds lovely, right? Anyway, speaking of inspiration, an ice, cold glass of bubbly usually helps my creative juices start flowing. 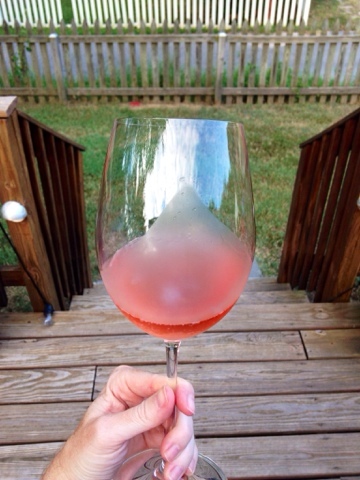 During the summer, sparkling rosé was my go-to cocktail. But, nothing ruins your bubbly experience faster than when your fizzy beverage is warm. I like it ICE COLD. Too many times you will see champs getting iced down in just a bucket with some cubes. Wrong. All wrong! Never fear my loyal readers, I am here to save you from lukewarm champs and ensure that your bubbles are always cold and happy. 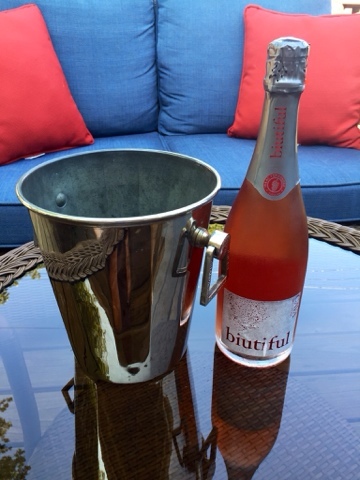 First, grab a bottle of your favorite bubbly and an ice bucket. 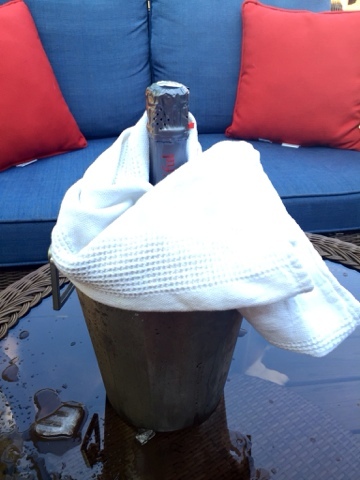 Next, place your bottle in the bucket and fill it to the brim with ice. Now here comes the most important part: fill the bucket with water. 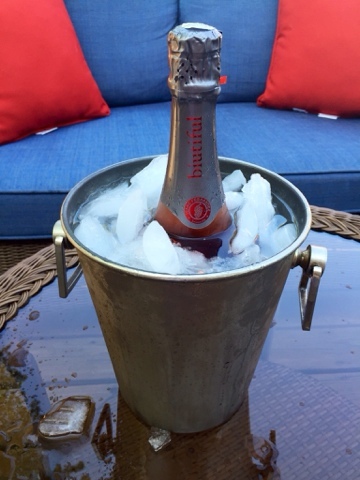 When you only ice the champs with ice the bottle does not get chilled evenly. But once you add water, every part of the bottle will get cold. Wrap the neck in a "sweater". It's cold in there! 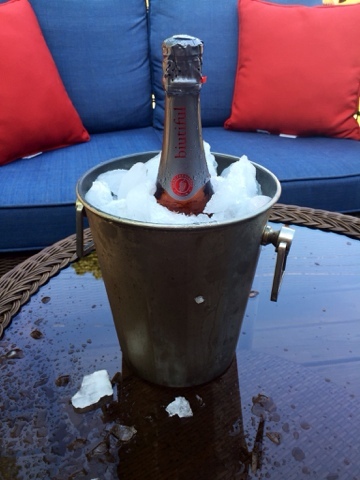 After about 20 minutes your bottle should be properly chilled. Pour in a glass and enjoy! On a side note, lately I have preferred drinking all of my bubbles from large wine glasses rather than traditional flutes. How do you drink your champs?